I posted some initial reflections on the pastoral search process last September, when our search committee was about to begin a 5-month hiatus triggered by our then preferred candidate for senior pastor deciding to withdraw his name from consideration. We resumed the search in March this year, feeling refreshed and energised from the break and looking forward to seeing what God had in store for our church. After an intensive period of searching, interviewing and, throughout it all, prayer, by September we were very excited to recommend to church members that we call Russell Watts as our senior pastor. The members agreed and Russell officially agreed to the call in late September. We feel incredibly blessed to have someone of Russell’s calibre coming to our church. 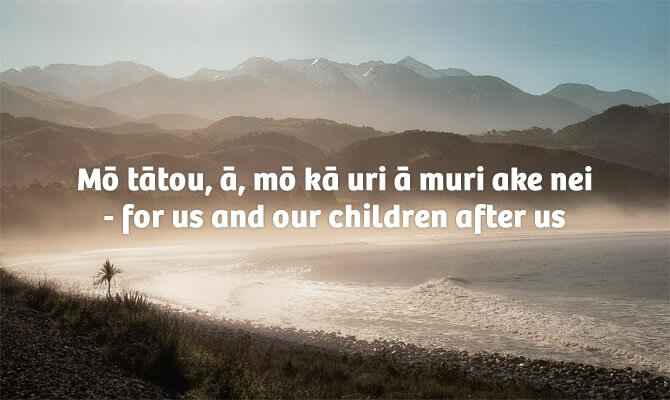 He’s currently the senior pastor at Ranui Baptist Church and has a particular set of skills (and giftings) that will be valuable to our church, helping to equip us to more effectively spread the good news about God’s kingdom to those in Northland and beyond. Very exciting times ahead! The impact of prayer: Prayer has been an ongoing and constant part of the process, as it obviously needed to be, both by the committee and wider church community. This included prayer for wisdom and discernment for us as a committee, for patience for the committee and church as we waited on God’s timing, and for the person God had planned to be our next senior pastor. 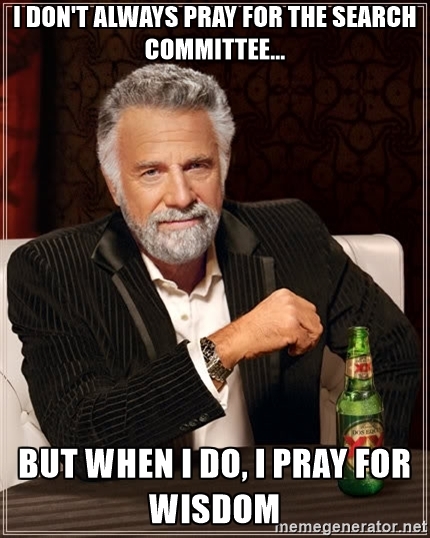 Kim and I occasionally joked about the committee’s need for wisdom, using the well-worn ‘Most Interesting Man in the World’ meme which graces the top of this post. The significance of James: Scriptures from the book of James were recurring throughout the process, themes of perseverance (James 1:2-4), wisdom (James 1:5-8), trust and faith (James 4:13-16) and prayer (James 5:13-16). Even at the members’ meeting to call Russell the chairperson of our Elders group, completely unaware of the recurrence of James, prepared a devotion on James 2 about love and favouritism. The value of good process: We were blessed to have able leadership on the committee in the form of our chairperson. He comes from a very process-oriented profession and instilled necessary rigour to our process. We always made sure to tick all the boxes, to communicate often and well, and to follow the Baptist NZ guidelines as they applied to our search. The importance of values: Our committee identified and agreed to six core values when we first formed: confidentiality, transparency, honesty, graciousness, consecration and patience. These are the values that underpinned our process from the outset. They informed our discussions with church leadership and the development of documents relevant to the search, ensured effective ongoing communication with church members, and were essential during the crunch points of shortlisting, interviewing and making decisions on who to call. These values kept us grounded and united in our approach and were crucial to ensuring the process ran smoothly. The benefit of transition: While unintentional, the transitional period of what will in the end be just over a year between senior pastors has been valuable to our church community. It has seen more people from the church community step up and serve (including in positions of leadership) and has given the church what I believe to be necessary breathing room after our previous pastor’s 25 year pastorate. It has been a healthy time of transition which will continue into the early part of Russell’s tenure with us.